We work with people to help them solve their organisation’s most important commercial and public policy problems, to innovate and transform their organisation and, ultimately, to make great decisions that enable them to prosper in fast changing times. Our expert review team has extensive experience in conducting governance, organisational, assurance, and project reviews. We have review experience covering the private and public sectors, and the charitable/Not-for profit sectors. Review the status of projects (from either strategic assessment to commissioning) and give you a confidence assessment the readiness of a project, and what constructive steps can be taken to improve project success. Bruce Wilson AM and Roger Fitzpatrick, former Queensland Government senior executives. Please contact one of our experts for more information on our capabilities and experience. Steve Richards – Director. Steve is an accomplished strategy, policy and infrastructure advisory leader in the public and private sectors, with extensive and strong experience across both economic and social markets. 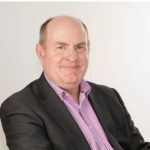 Steve’s expertise includes team management and leadership, organisational reviews, project leadership and assurance (including Gateway Reviews), business case development, due-diligence, major and complex procurement including Public Private Partnership projects and international development assistance. Ken Sedgwick – Director. Ken specialises in public policy, economics, regulation and project assessment. 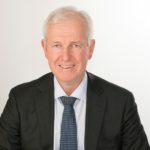 He has extensive experience in the reform and performance assessment of government businesses and agencies, including departments and government owned corporations. He has analysed and advised on issues across many sectors, with recent prominence in the water sector. Phil Bullock – Director. 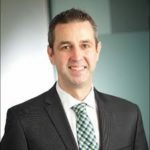 Phil is an experienced transport professional who has almost 20 years experience consulting to industry and government, as well as holding several senior positions in the NSW public sector. He has extensive experience in infrastructure planning, transport, policy development and the freight sector.